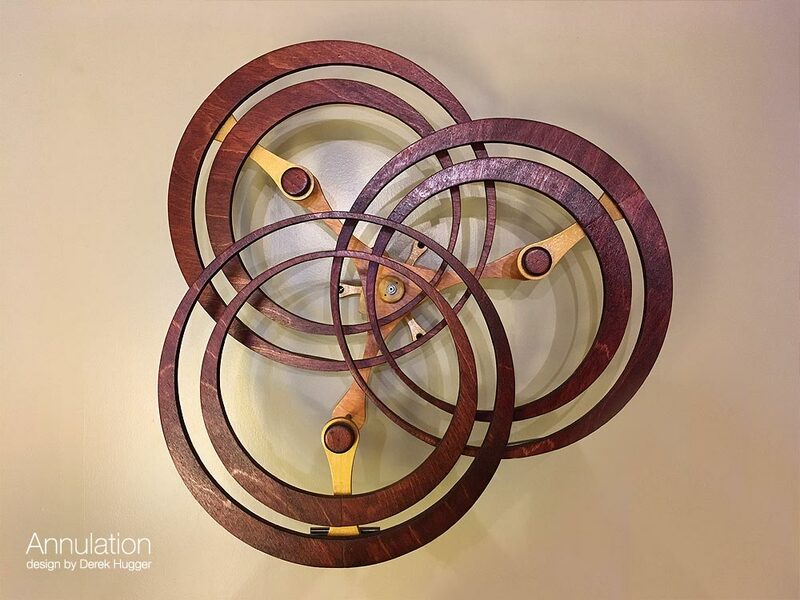 Annulation is a wooden kinetic sculpture that is captivating at rest and mesmerizing in motion. 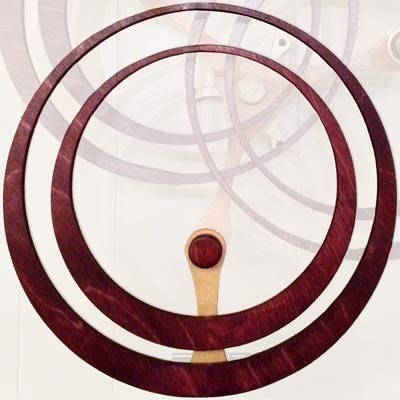 Its rings create an organic illusion of growth and decline as they sway and gyrate. Each moving element of Annulation was designed to be perfectly balanced, both physically and visually. 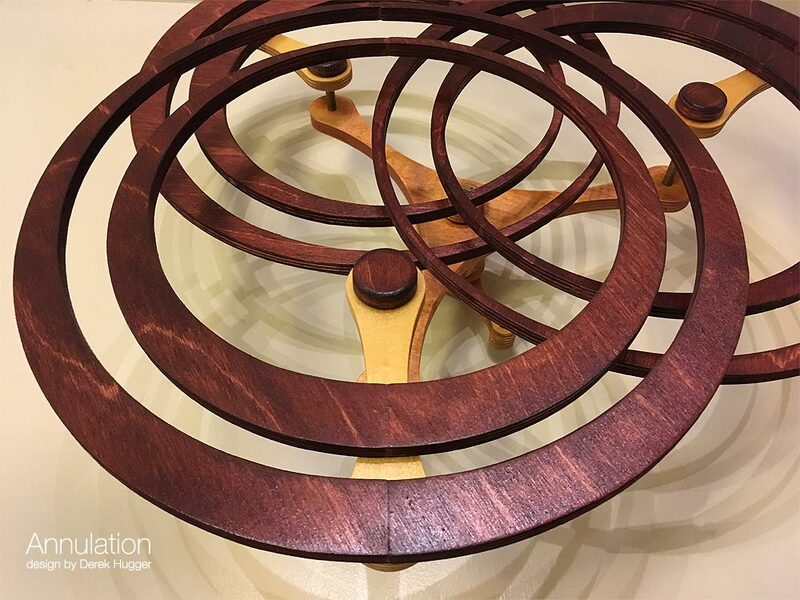 Each ring assembly's center of gravity (CG) was carefully positioned to be exactly at the assembly's pivot point. 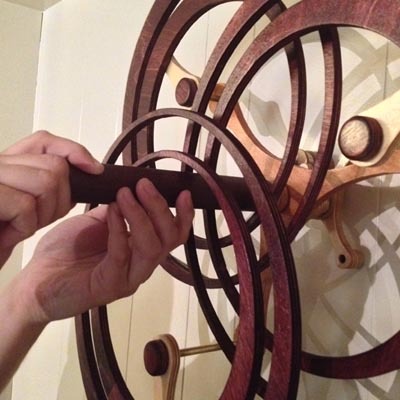 This not only allows the three ring assemblies to have common parts, but also allows small weights to be attached in one of three positions behind each outer ring, assigning that ring's orientation in the sculpture. 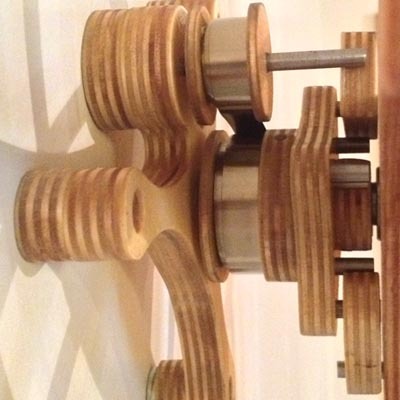 The Ratcheting Escapement allows Annulation's rings to spin freely in one direction but not the other. 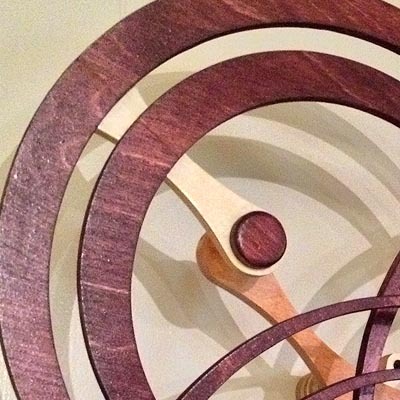 When the rings begin to turn clockwise, the Ratcheting Escapement allows energy to be released, reversing the rings' directions, sending them spinning counterclockwise. The combination of carefully managed CGs and ring orientations generates a dynamic visual effect of size and orientation change, when in fact, the rings' orientations relative to each other are not changing at all. 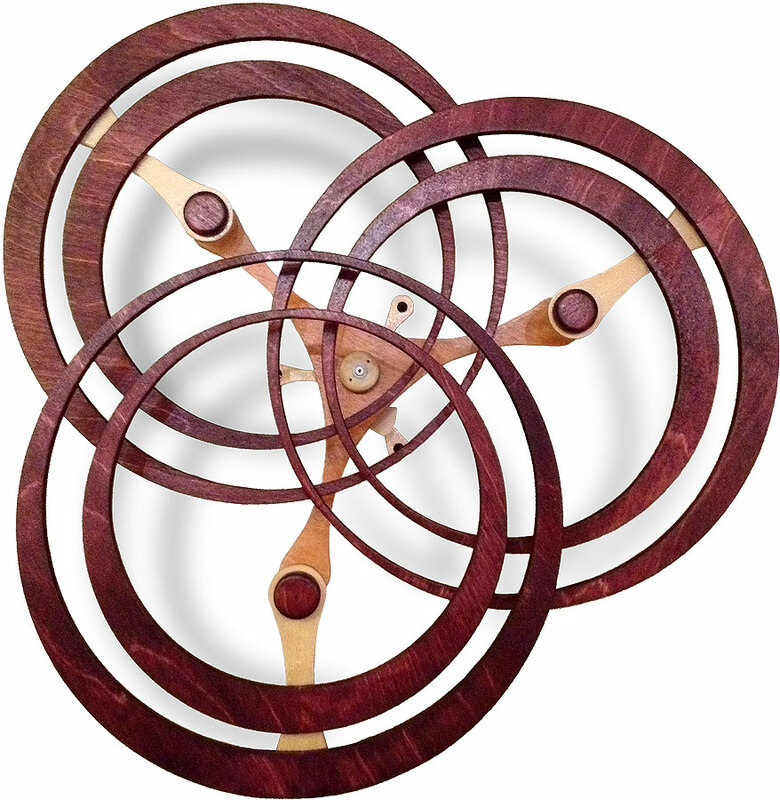 The mechanism that allows Annulation's rings to turn freely in one direction is the same mechanism that allows it to wind. 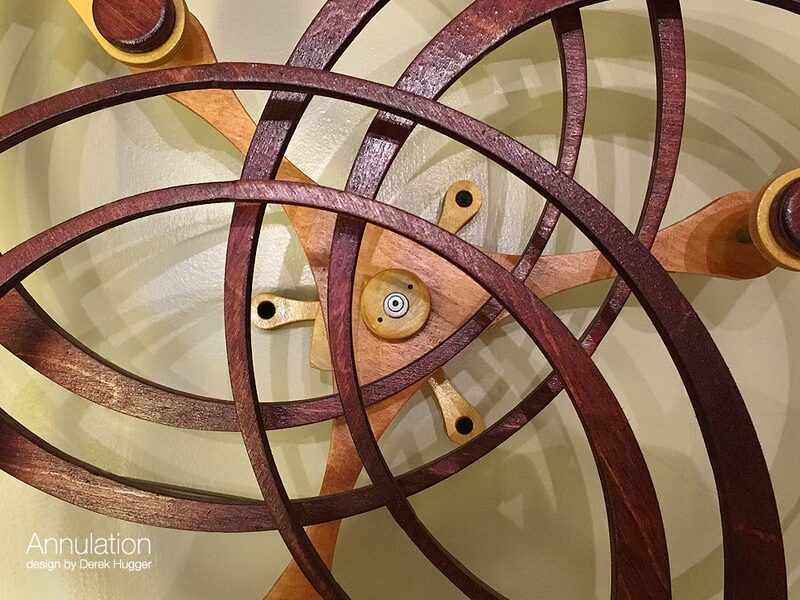 As the sculpture is wound, energy is stored, and the entire escapement spins freely between the frame and the rings.